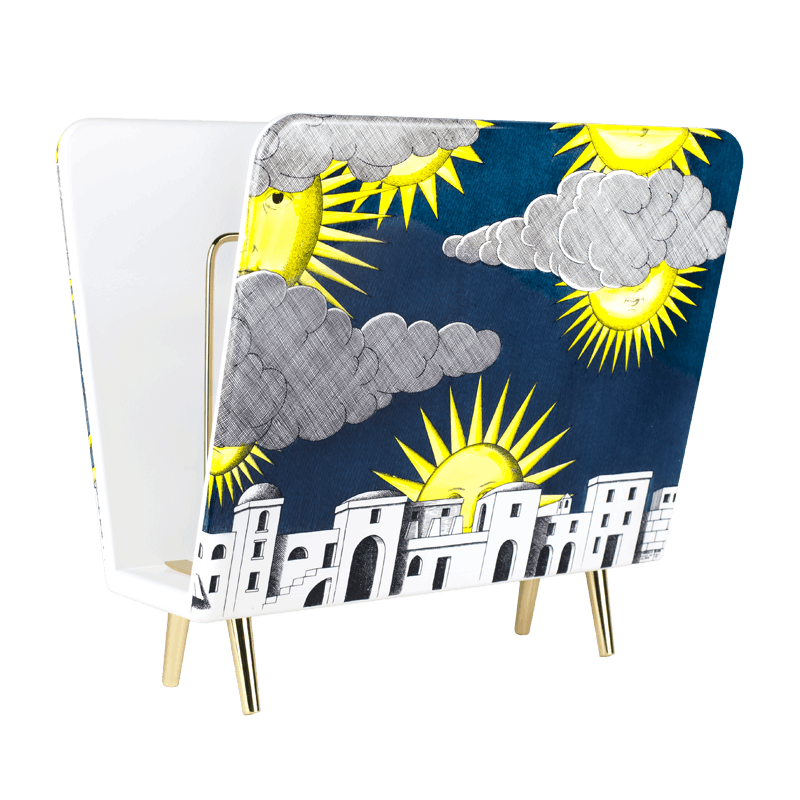 The Fornasetti magazine racks, built around some of the most iconic designs by Piero Fornasetti, could become a most glorious house for your periodic readings. Whatever your curious mind indulge its attention with, it deserves to rest in these magazine racks. Details — colour: colour, width: 42cm, height: 39cm, depth: 27cm. 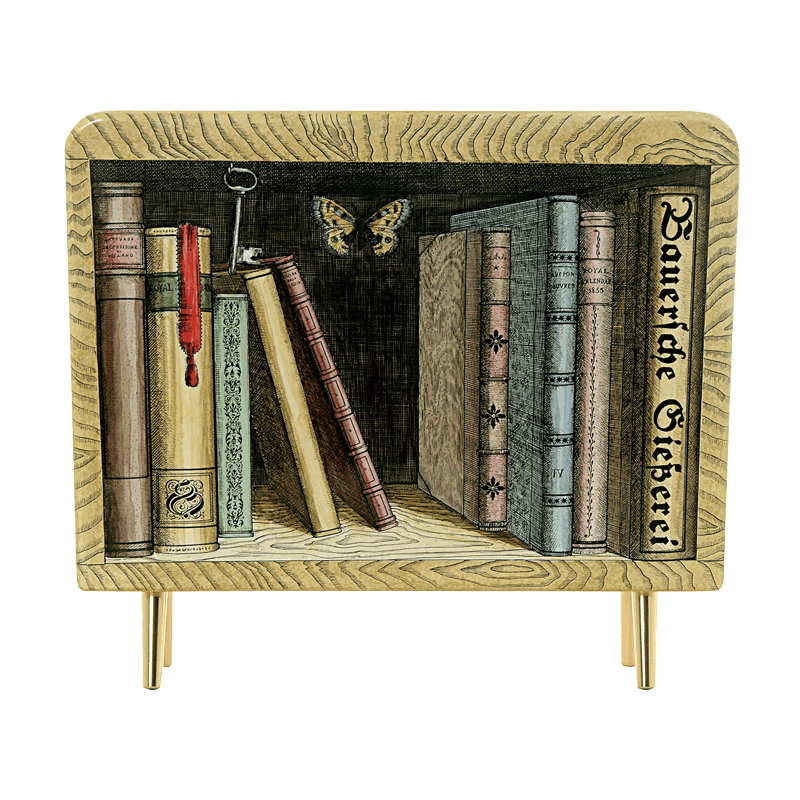 The Fornasetti magazine racks, built around some of the most iconic designs by Piero Fornasetti, could become a most glorious house for your periodic readings. Whatever your curious mind indulge its attention with, it deserves to rest in these magazine racks. Details — colour: black and white, width: 42cm, height: 39cm, depth: 27cm. 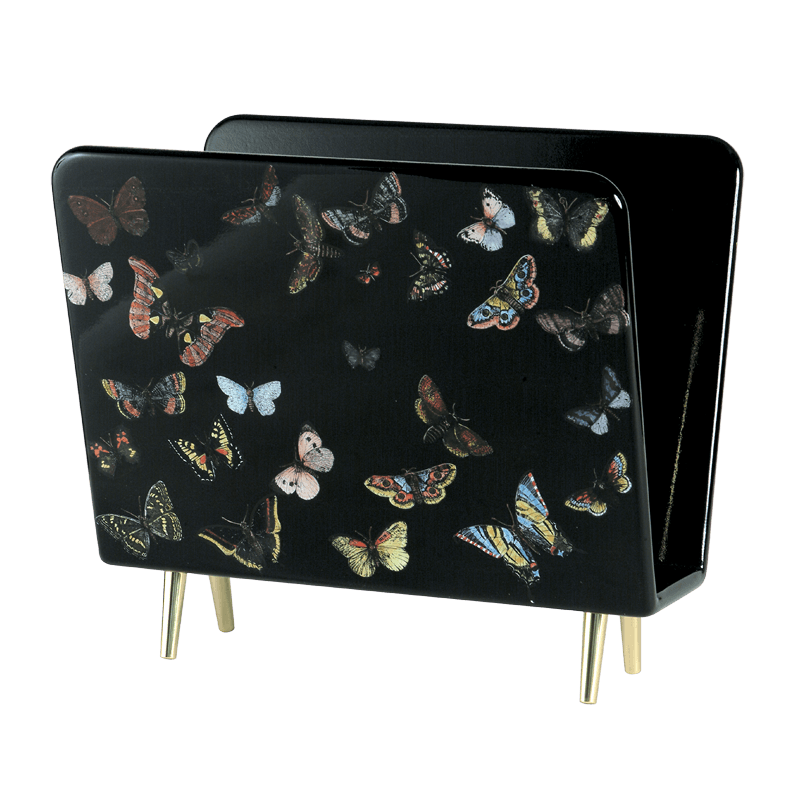 The Fornasetti magazine racks, built around some of the most iconic designs by Piero Fornasetti, could become a most glorious house for your periodic readings. Whatever your curious mind indulge its attention with, it deserves to rest in these magazine racks. 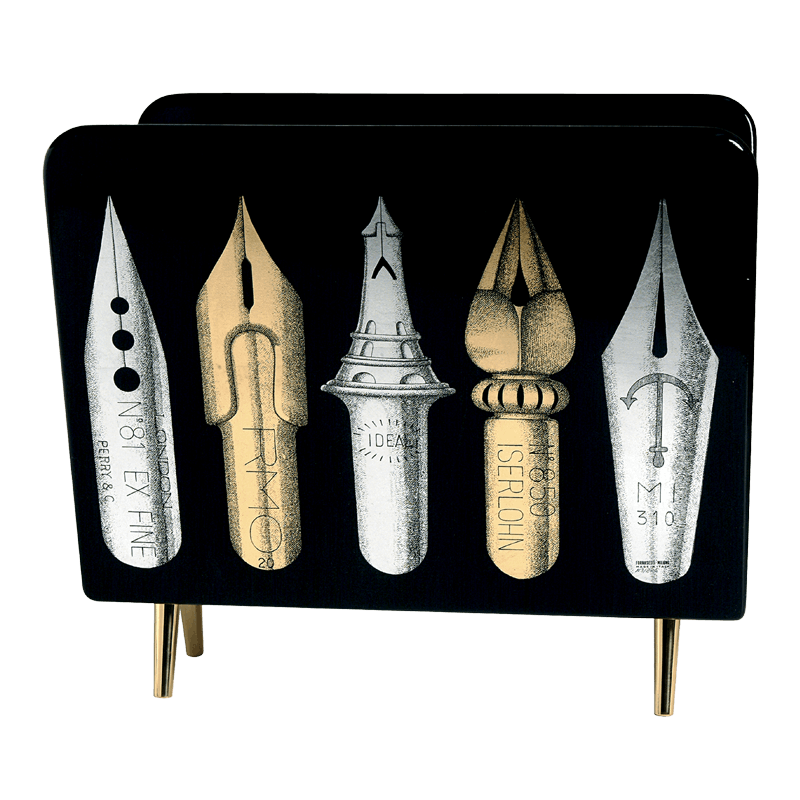 Details — colour: colour on black, width: 42cm, height: 39cm, depth: 27cm. 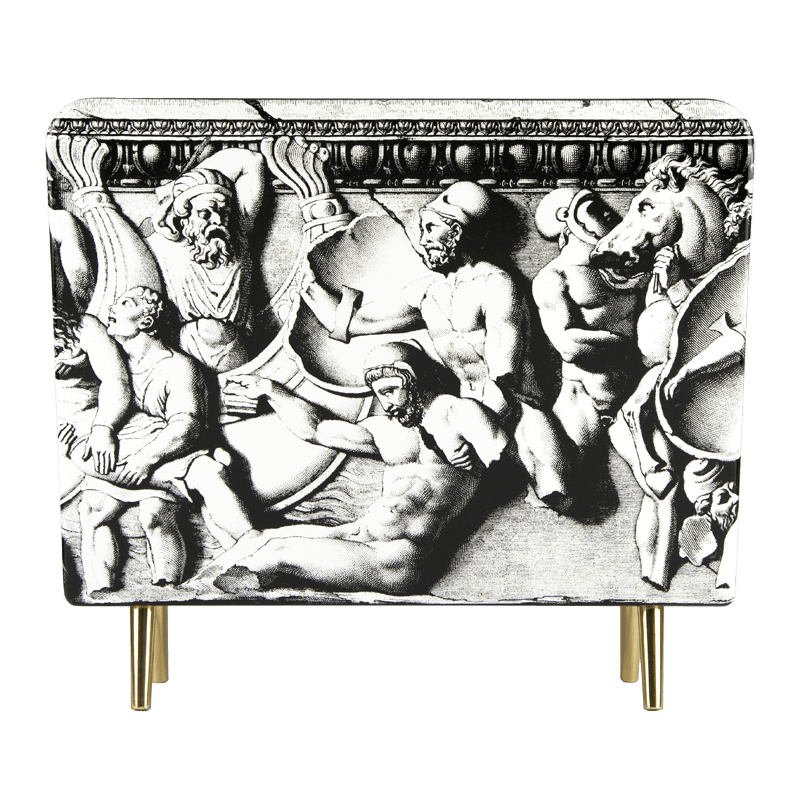 The Fornasetti magazine racks, built around some of the most iconic designs by Piero Fornasetti, could become a most glorious house for your periodic readings. Whatever your curious mind indulge its attention with, it deserves to rest in these magazine racks. Details — colour: gold and silver leaf on red, width: 42cm, height: 39cm, depth: 27cm. 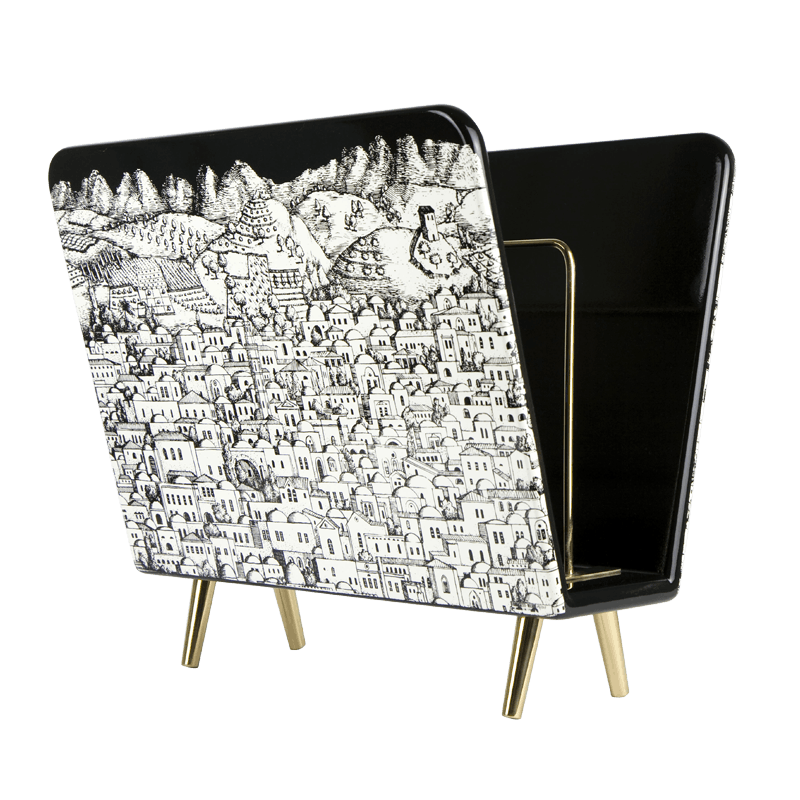 The Fornasetti magazine racks, built around some of the most iconic designs by Piero Fornasetti, could become a most glorious house for your periodic readings. Whatever your curious mind indulge its attention with, it deserves to rest in these magazine racks. 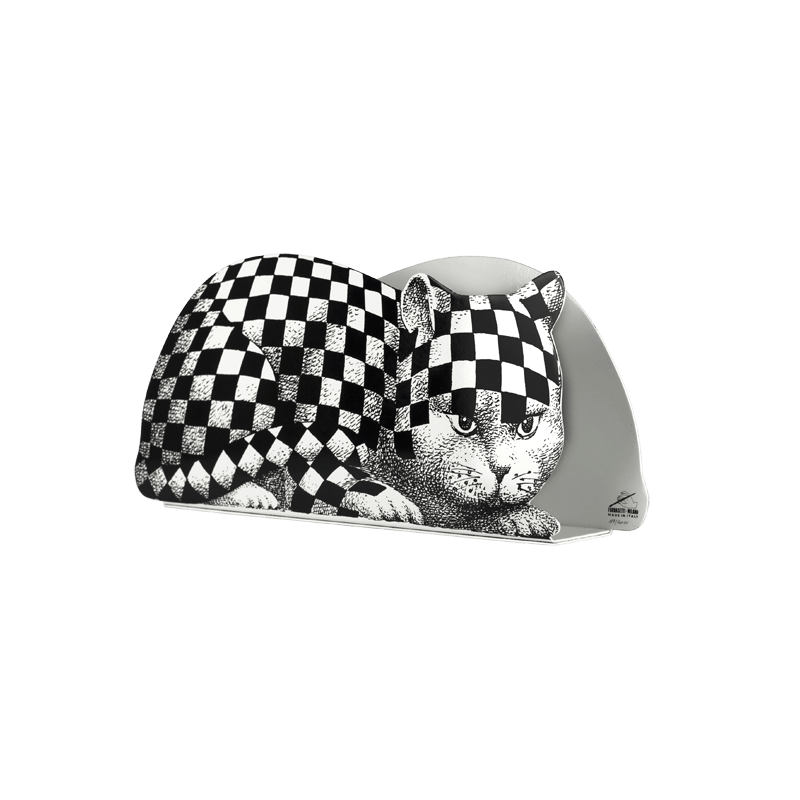 Details — colour: black and white, width: 35cm, height: 16cm, depth: 6cm. 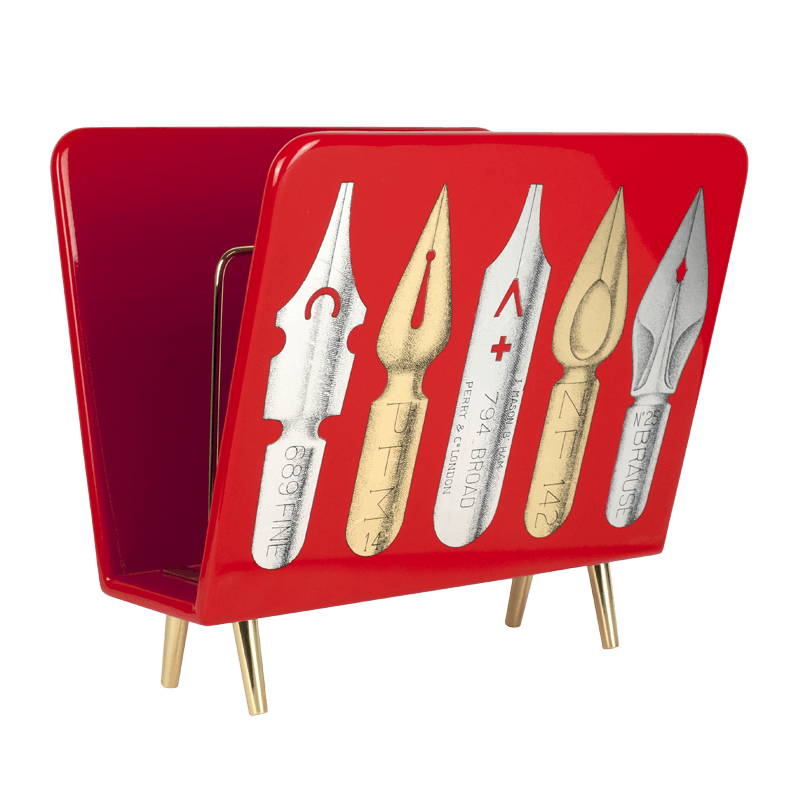 The Fornasetti magazine racks, built around some of the most iconic designs by Piero Fornasetti, could become a most glorious house for your periodic readings. Whatever your curious mind indulge its attention with, it deserves to rest in these magazine racks. Details — colour: gold and silver leaf on black, width: 42cm, height: 39cm, depth: 27cm.